Comedy Central is hitting the sauce once again. According to The Hollywood Reporter, the network has renewed Drunk History for a fourth season. Today, the network also renewed several other series, including Tosh.0 and Review. 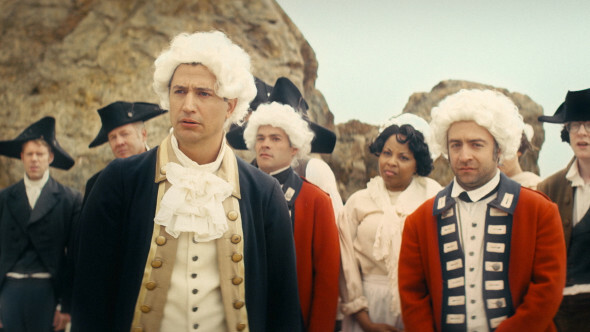 Created by Derek Waters and Jeremy Konner, Drunk History presents versions of famous historical stories as told by some very inebriated guest narrators. Previous guest stars have included Bill Hader, Colin Hanks, Michael Cera, and Laura Dern. Season four will begin in September. What do you think? Do you watch Drunk History? What historical stories would you like to see in season four? More about: Comedy Central TV shows: canceled or renewed?, Drunk History, Drunk History: canceled or renewed?